Ready for another art project? This one is earth-friendly because it uses junk mail (we all have that around) and leaves (easy to find). 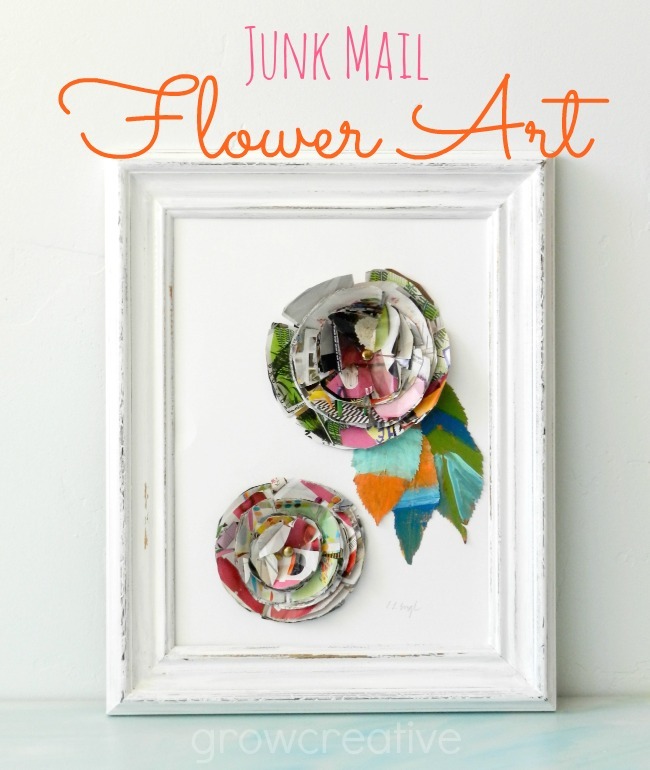 I've had this junk mail project on my mind ever since I made my Junk Mail Flowers and Painted Fall Leaves last fall. Once you have those two items made, the rest is easy and quick! Step 1: Cut your paper to fit the size of your picture frame. 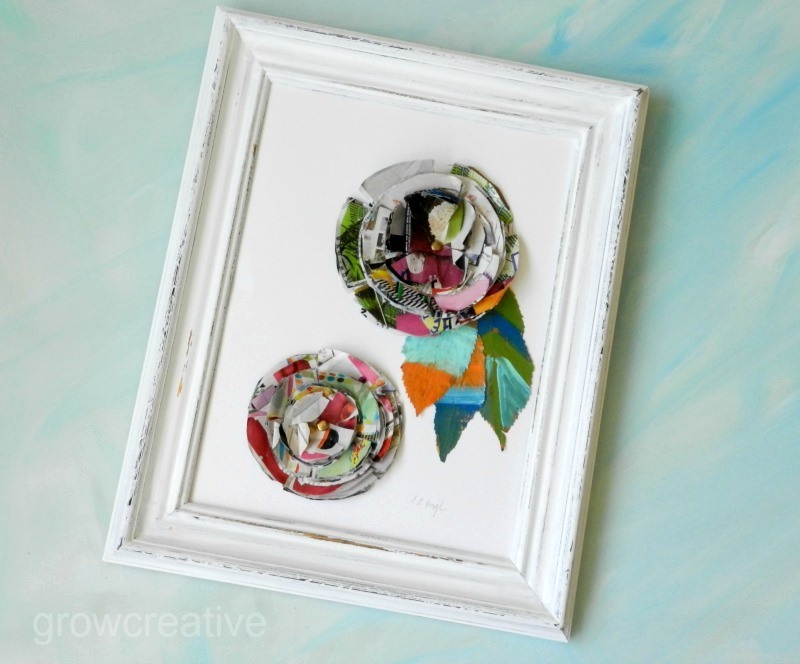 Step 2: Gather the Junk Mail Flowers and Painted Leaves that you want to use for your artwork and arrange them as desired on your paper. It works nicely to arrange the leaves as if they were the leaves on the same stem as the flowers. But you can get creative and try all kinds of arrangements here! Step 3: With a pencil or pen, mark the spot where the center of your flowers hit the paper and then punch a small hole in that spot with a needle. 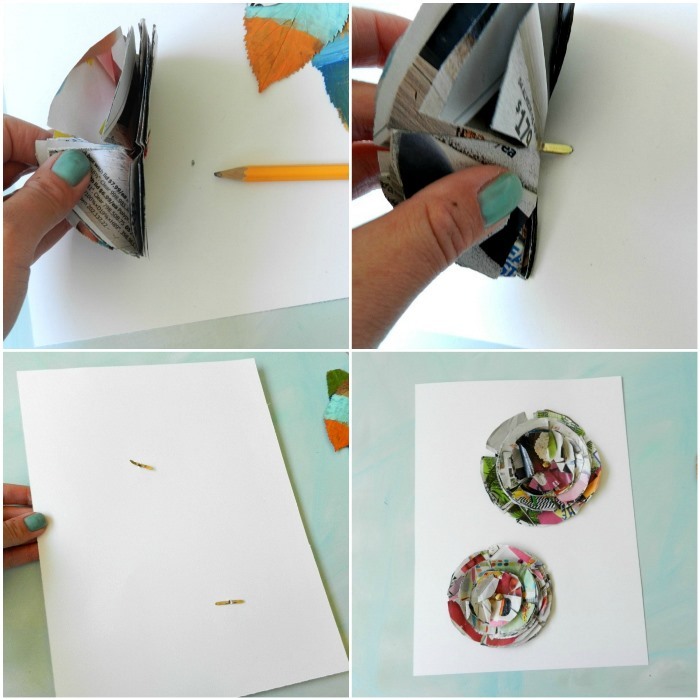 Step 4: Open the brads at the back of the Junk Mail Flower and stick them through the hole you created. Press the arms of the brads down on the backside of the paper to secure the flowers. You don't even need glue for that part- awesome! Step 5: The leaves do need some glue. 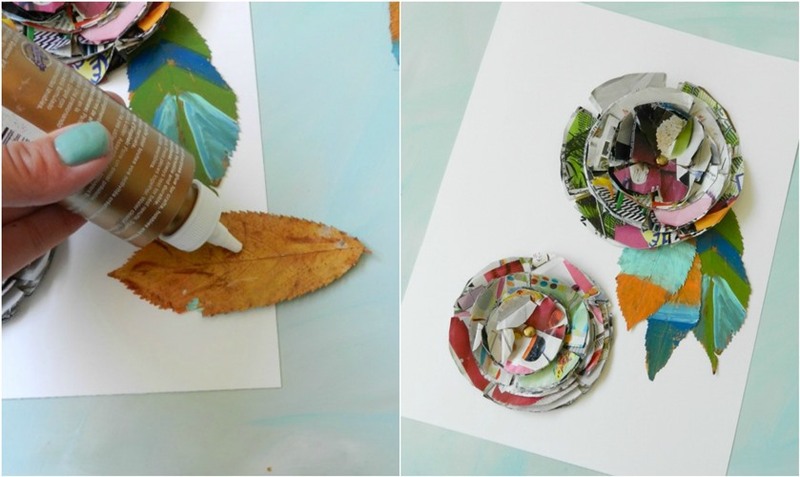 So apply tacky glue to the back of your leaves and press them onto the paper. Let dry. 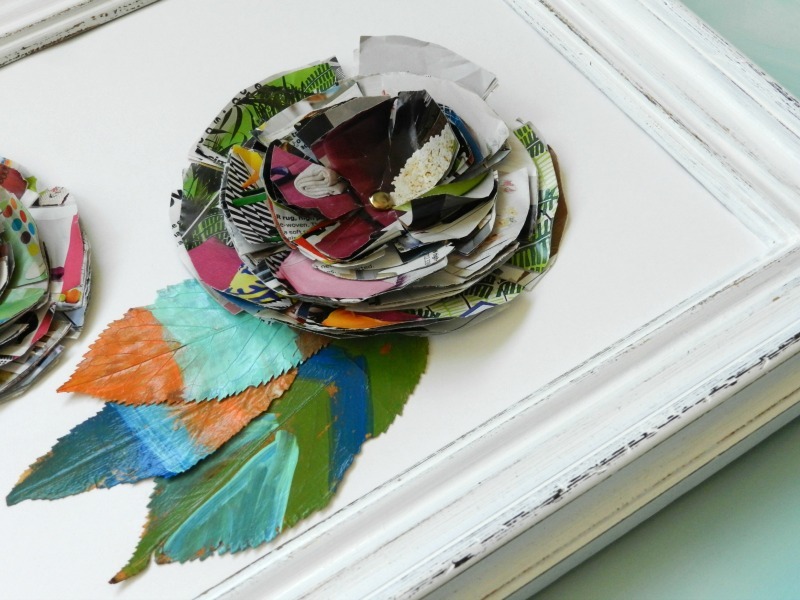 Do you have an other crafty uses for your junk mail? I'd love to hear about them! Your so creative! Love it! So pretty! Love this idea! So cute! Pinning so I can copy you. Such a beautiful and creative project, Elise! I love it!!! Thanks for sharing this! Hope you have a wonderful day and week! I love this project, definitely a must try. Thanks!!! Thanks and good luck with the journaling.... that's one form of art I have yet to try. one day! Love it with the distressed frame! How cute and fun to make! I love them and will def. have to give it a try this summer! Love, love this idea! What a beautiful project. Thank you so much for sharing your creativity on The Inspiration Board at homework. I so appreciate it! You were featured in the spotlight! The addition of the painted leaves really took this DIY to the top! What a great way to reuse all my junk mail and magazines. Thanks for the tutorial! This is so clever! 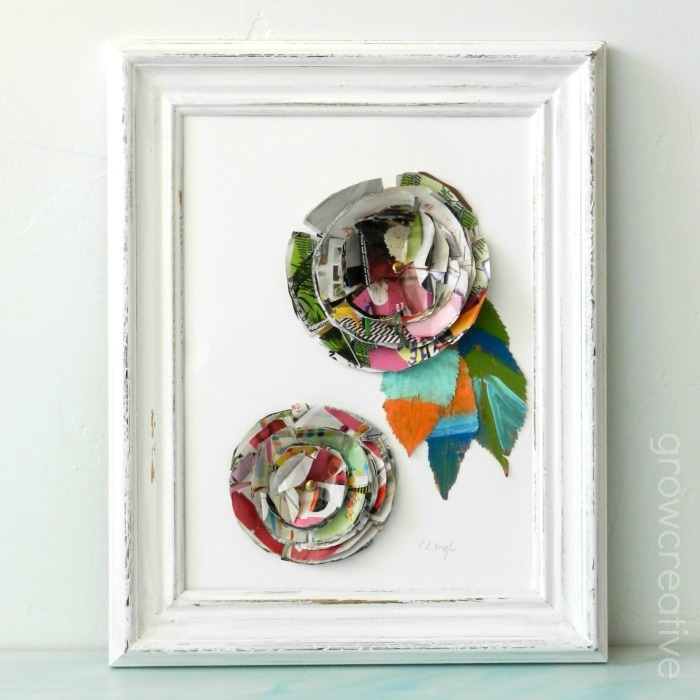 I love how you re-cycled the junk mail and turned it into flowers! Thanks for sharing at my Creative Ways Link Party! Very fun!! I always knew there was a perfect way to use all the junk mail that comes to my house...and this is it! Oh my goodness!! I just love it!!!!! These are great. 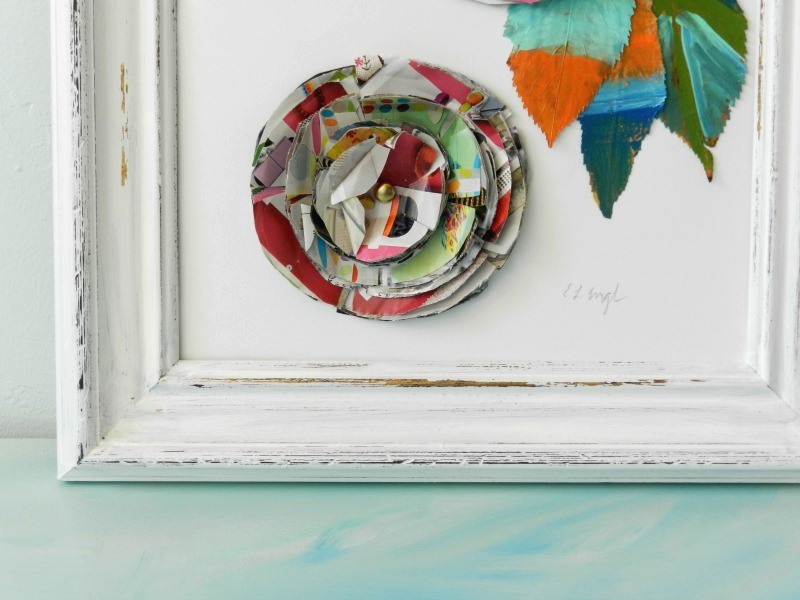 I love upcycled things, especially when they look this pretty.